Former UFC fighter Rodrigo de Lima was reportedly killed on Sunday Belem, Brazil, following a dispute with his rideshare driver. According to MMA fighting, de Lima’s longtime friend and teams, UFC welterweight Michel Prazeres, described how the 26-year-old fighter was inside a car with a few friends when an argument broke out with the driver. The driver allegedly stopped the car and told de Lima to get out before driving f. However, the driver later returned and hit de Lima with his car from behind. The 28-year old MMA veteran was married and had two kids. Rodrigo de Lima had two fights with the UFC between 2014 and 2015, losing to Neil Magny and Efrain Escudero. According to MMA Fighting, he fought for the last time in June 2018, as he submitted Luiz Fabiano in the co-main event Shooto Brazil 85. He was 9-3-1 in his career as an MMA fighter. 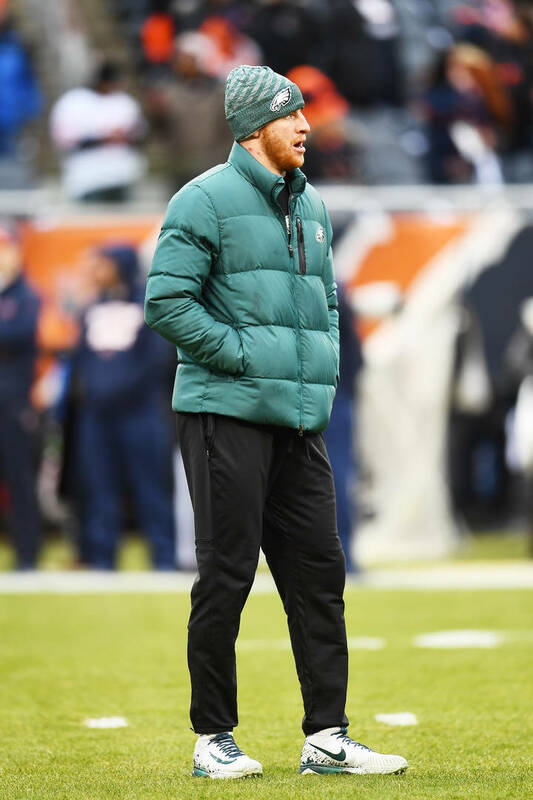 At the end last season, Carson Wentz suffered a stress fracture in his back which took him out for the remainder the season. Nick Foles stepped in for him and the rest is history as the Eagles made it to the playfs and even won a game against the Chicago Bears. Since then, Foles signed with the Jacksonville Jaguars which cemented Wentz as the team’s franchise quarterback. The QB spoke to the media on Monday about his injury status and how his recovery is going. Overall, it’s been a slow process. There have been questions surrounding Wentz as to whether or not he can make it as a franchise quarterback considering all the injuries he’s sustained in his young career. Wentz understands those doubts but is ready to prove people wrong. Only time will tell whether or not Wentz can lead the Eagles to one the best records in football like he did just two seasons ago. Jay Cutler might not be the NFL quarterback he once was but he can still get the job done when it comes to other things apparently. Cutler is married to Kristin Cavallari and the two have been staples reality TV for a while now. On Kristin’s latest reality show on E! titled Very Cavallari, she got into a very personal conversation while at dinner with some friends. The reality star spoke about how she was having trouble breastfeeding her child because she had clogged milk ducts in her breasts. That’s when she revealed that Cutler himself had to help her out. “Major clogged ducts. Jay had to get them out for me, sucking harder than he’s ever sucked and you know what? Saved my life,” Cavallari said. In the clip posted above, Cutler seems pretty content with himself as he throws his hands up in the air with a bit a shrug. While Cutler is out here saving the day, unfortunately, his NFL career has hit a bit a snag. After an unsuccessful year in Miami back in 2017, Cutler retired from the game and has been living the life with his wife Kristin ever since. 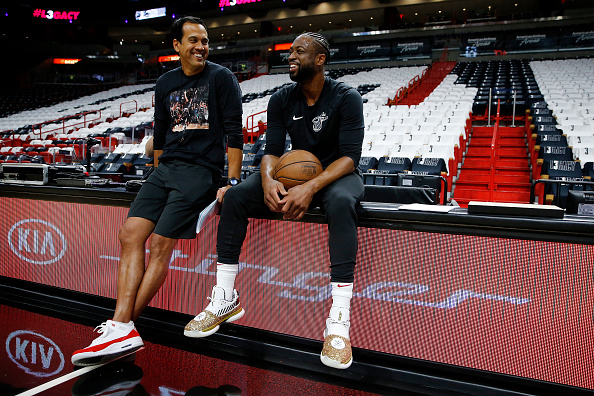 In celebration the final home game his 16-year NBA career, future NBA Hall Famer Dwyane Wade took the court at American Airlines Arena in Miami on Tuesday night in two different Way Wade 7s – both which featured glittery detailing. 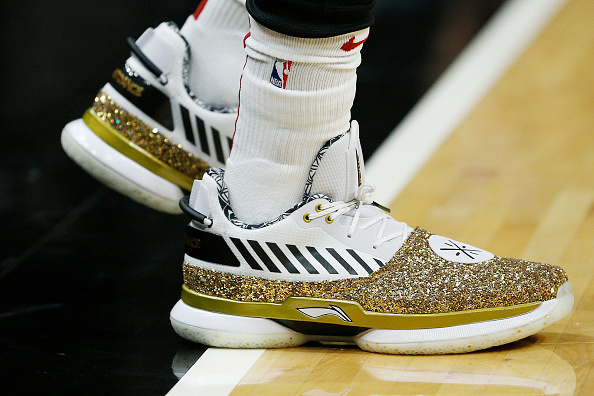 D-Wade started the game out in an exclusive white, black and gold Way Wade 7 colorway, fully equipped with the eye-catching gold glitter. Wade, who finished with 30 points in Miami’s 122-99 victory over the Philadelphia 76ers, later switched to a red and black version the Way Wade 7. 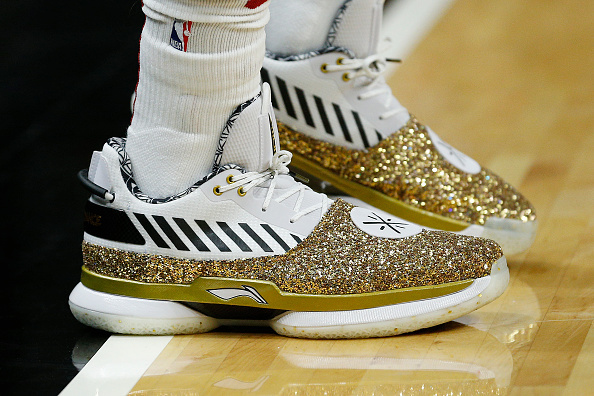 Like the gold PE, the red joint was decked out in glitter with Wade’s #OneLastDance stamped on the heel. 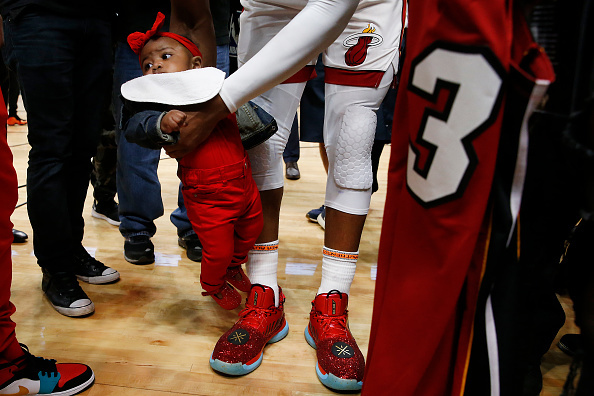 D-Wade will play the final game his NBA career tonight in Brooklyn, and we’ll keep you posted if he breaks out any more special edition sneakers. 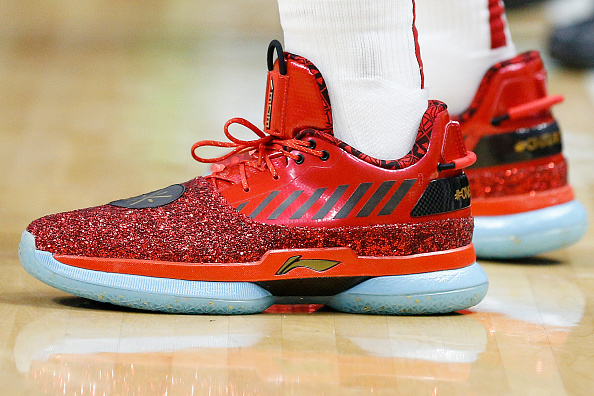 In the meantime, check out some ficial photos last night’s kicks below. Camila Cabello began her career as a member Fifth Harmony, the former five-piece girl band that was formed after each woman auditioned for X-Factor and Simon Cowell put them all in a group. After some success, Camila departed from the group to embark on her solo career and it was seemingly the best career move she made since she had major success with her self-titled debut album and her most popular track, “Havana” featuring Young Thug. The Hollywood Reporter now details how Camila is set to make her acting debut in a reimaged tale Cinderella. While the details surrounding the classic Disney film are hush-hush, the publication details how “the story is described as a modern reimagining the traditional tale the orphaned girl with an evil stepmother, with a musical bent thrown in for good measure.” Camila will not only star in the film but also play an integral role in the music for the movie as well. The new take on the film was an idea that came from James Corden, known for his late night show and widely popular carpool karaoke. Jason Witten was one many players who went from the football field to the broadcast booth. The Cowboys tight end brought his talents to ESPN’s Monday Night Football and unfortunately for him, was immediately roasted for his performance. Fans were not forgiving to Witten and his broadcast style. 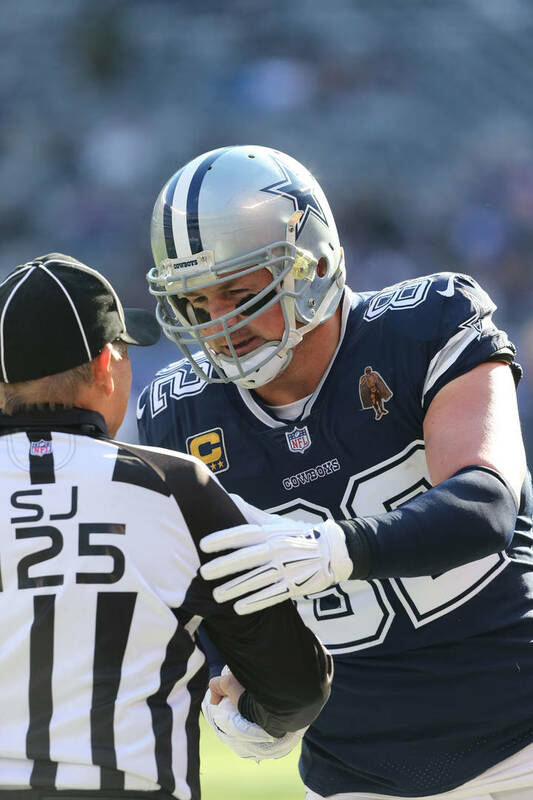 As Witten explained on Ryen Russillo’s “Dual Threat” podcast, the criticism was extremely difficult to ignore and that it got to him at times. Tom Brady will be turning 42 years old in August and says he plans to play football until the age 45. This is a pretty incredible statement when you realize that Brady has absolutely nothing left to prove. He’s won six Super Bowl titles in his historic career and he could probably win more if he really wanted to. It’s pretty hard to imagine Brady playing any sport other than football although you may be surprised to know that he was actually quite the baseball player back in the day. In fact, back in 1995, the Montreal Expos picked Brady in the 18th round the MLB draft right out high school. Brady ended up forgoing his baseball career to play football and honestly, we’re glad he did. That’s when Brady replied, “I’ve been trying to get the Expos back on the line for the past month!” He even showed f his rookie card to let everyone know that he’s only half joking. Unfortunately for Brady and the great province Quebec, the Expos don’t exist anymore so any dream he has playing baseball will have to be put on the shelf. The pay gap between men and women is a serious topic that’s still being worked on and advocated for, especially within Hollywood. The Venom actress Michelle Williams has recently opened up about her experience with the latter, detailing the drastic, unexcusable gap she experienced with her co-star, Mark Wahlberg. She explained how her career as an actress, starting f when she was just 12, still couldn’t translate to equal pay. Mark donated his payment for re-shooting to the Time’s Up fund, while his agent William Morris Endeavour, donated another $500,000. Robert Griffin III had an incredibly promising start to his career but mismanagement his injuries while with the Washington Redskins ultimately led to a decline in his play. After missing the entire 2017 season, Griffin signed on with the Baltimore Ravens and eventually became their third-string quarterback behind Joe Flacco and Lamar Jackson. Now that Flacco has been traded, Jackson has been upgraded as the starter, while Griffin III is the backup. The Ravens even gave RGIII an extension to reward his hard work during the 2018 season. TMZ Sports caught up with Griffin who explained that he’s not content with just being a backup and that he’ll be gunning for the starting job. Jackson will be entering his sophomore season with the team although questions still remain as to whether or not he can be an effective passer in the NFL. The Ravens finished last season with a record 10-6 and were eliminated in the Wild-Card round the NFL Playfs. The Roc will be in the building at the NAACP Image Awards. Shawn “JAY-Z” Carter will receive the prestigious President’s Award during the 50th annual ceremony this weekend, it was announced today. The President’s Award is presented in recognition of a special achievement and distinguished public service. Previous recipients including Lauryn Hill, Muhammad Ali, Jesse Jackson, Colin Powell, and Condoleezza Rice, among others. NAACP President Derrick Johnson will present the award to JAY-Z during the 50th NAACP Image Awards from the Dolby Theatre in Los Angeles. Hosted by Anthony Anderson, the show will air live on TV One on Saturday, March 30, at 9 p.m. This marks the latest accolade for the multi-faceted mogul, who is the first hip-hop artist to be inducted into the Songwriters Hall of Fame and has won 22 Grammys throughout his career. Additionally, JAY-Z, along with Beyoncé, will be presented with the Vanguard Award at the 30th Annual GLAAD Media Awards in Los Angeles tonight. As allies and supporters of the LGBTQ community, the superstar couple will be honored for making a significant difference in promoting acceptance of LGBTQ people. 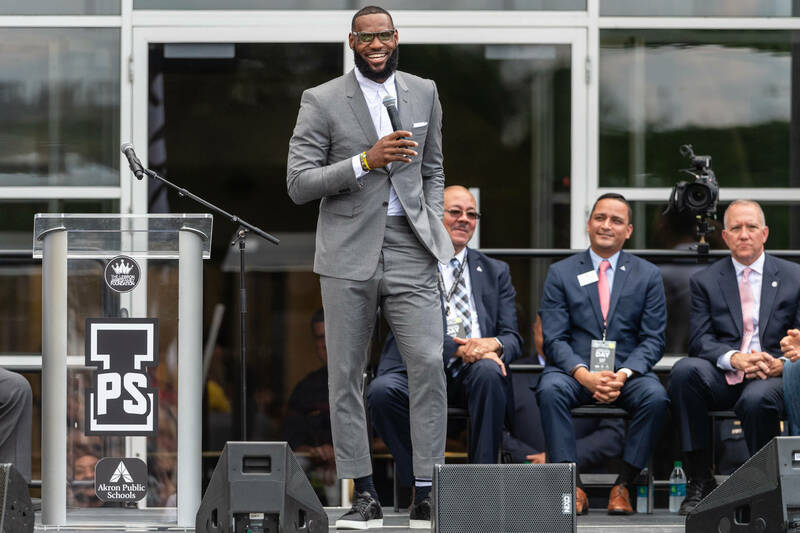 Kemba Walker and the Charlotte Hornets have plenty incentive to defeat LeBron James and the Los Angeles Lakers at Staples Center on Friday night. With eight games remaining in the regular season, the 10th place Hornets are sitting just 1.5 games back the eighth seeded Miami Heat, and they simply can’t afford to drop any more winnable games. Another reason why the Hornets should be motivated to beat the Lakers? So Kemba Walker can avoid going 0-28 against LeBron in his career. Since entering the NBA in 2011, Kemba is 0-23 against LeBron-led teams in the regular season. 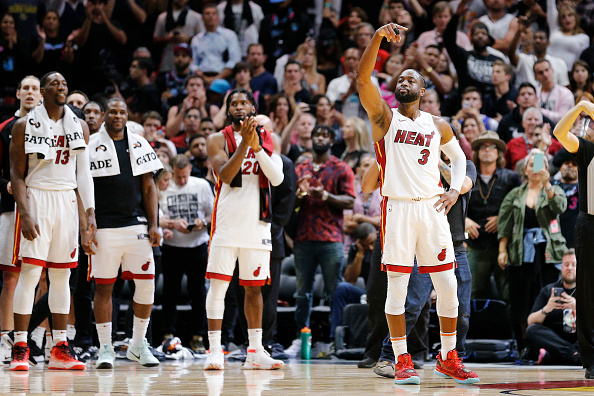 The only time their teams faced f in the NBA playfs was back in 2014, when LeBron’s Miami Heat squad swept the then-Charlotte Bobcats in the first round. Tonight’s showdown at Staples Center will fer Walker one his best opportunities yet to finally put one in the win column. The Lakers, 33-42, have already been eliminated from playf contention and will be without a good chunk their roster including Lonzo Ball, Brandon Ingram and Josh Hart, all whom are out for the season. 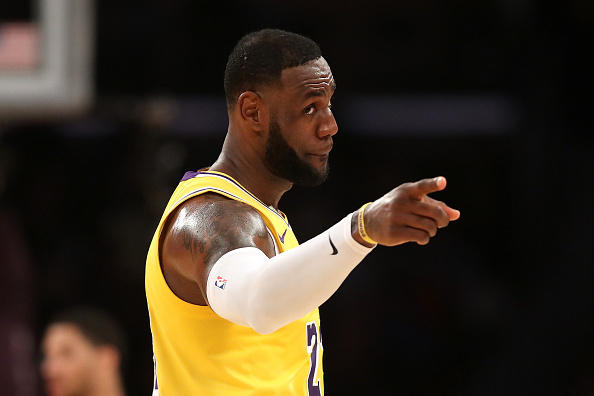 That said, LeBron sat out Wednesday night’s loss to the Utah Jazz, so he should be good and rested for the Friday night matchup against Kemba and co.